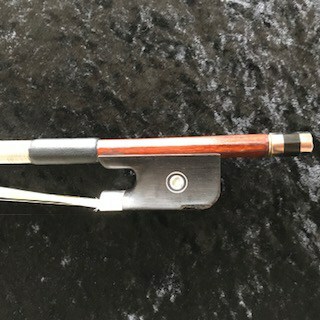 Alain Moinier Cello Bow was made in Mirecourt, France in 1997. 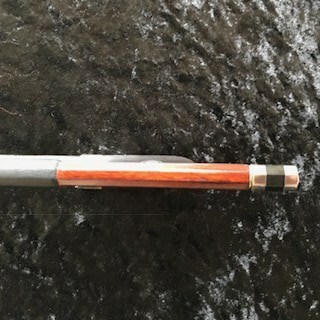 The octagonal stick has a French red stain. It is an excellent condition, although there is a small splinter of ebony missing near the heel of the frog. The wood is strong Pernambuco with bone tip, abalone slide and Parisian eye, with a three-part button. It is sterling-silver mounted. 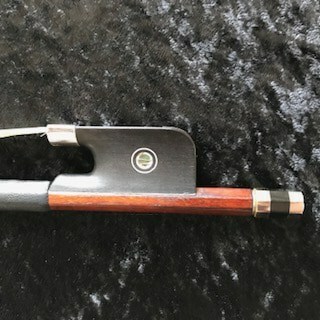 This is a great example of a contemporary French-made bow. Weight is 76.5g. 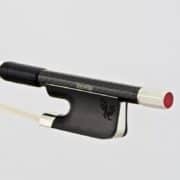 We encourage you to try the bow out in our studio here at Keller Strings if possible! 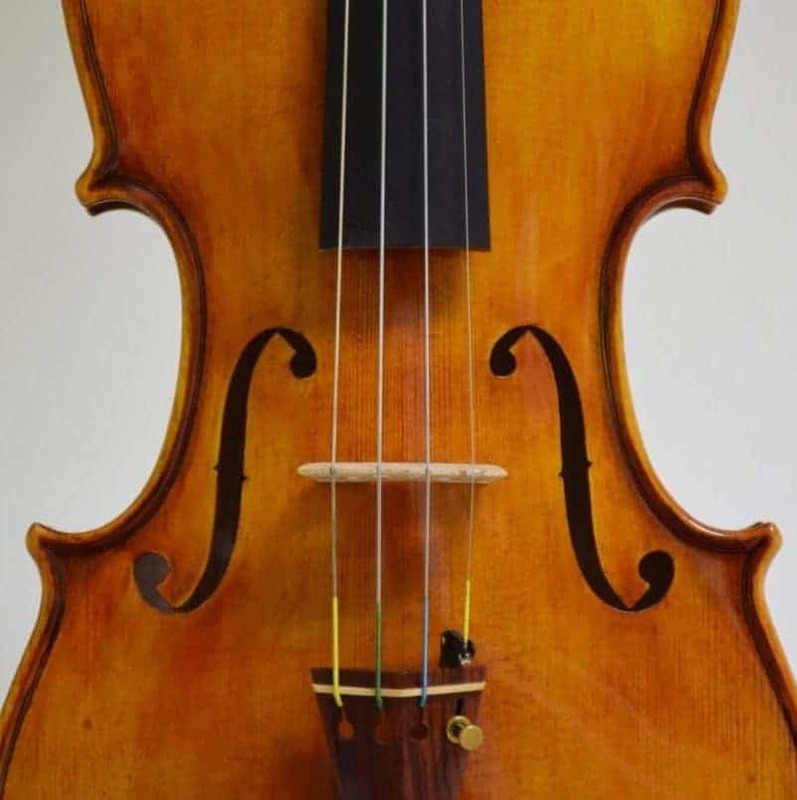 Since bows sound different on each instrument, we recommend bringing the instrument as well. Keller Strings is located near the intersection of St. Charles and S. Carrollton, in the Riverbend area. Our address is 8209 Hampson St, New Orleans 70118. Alain Moinier Cello Bow. Made in France in 1997. Pernambuco. 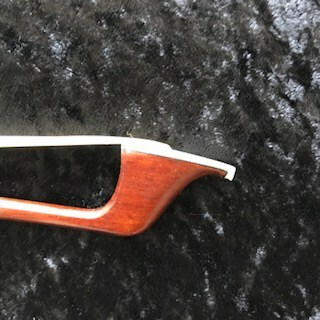 French red stain. Bone tip, abalone slide and Parisian eye, with a three-part button. Sterling-silver mounted. Weight is 76.5g.